I remember my first yoga class. Lying down on the mats, we were invited to notice how our breathing felt in our bodies. With my eyes closed I felt like finally I had found something where I didn’t need to keep doing or pushing myself but could simply be….I have never looked back. And now I am your yoga teacher! Where will your first yoga class lead you? Lucie is an experienced 500 hours yoga alliance teacher in seasonal yoga. She specialises in seasonal flow, meditation and yoga nidra, a deeply restorative relaxation technique that allows the body to thoroughly let go. Lucie has practised yoga for 15 years, studying Iyengar based, Ashtanga and Flow yoga, with elements of Chi Gung, Tai Chi and Feldenkreis movement. Since her first life changing class with Ratnadevi at the Glasgow Buddhist Centre, wherever she has travelled, her yoga mat always followed, and for many years Lucie dreamed of teaching yoga to others, inspired by the stillness continued practice can bring. 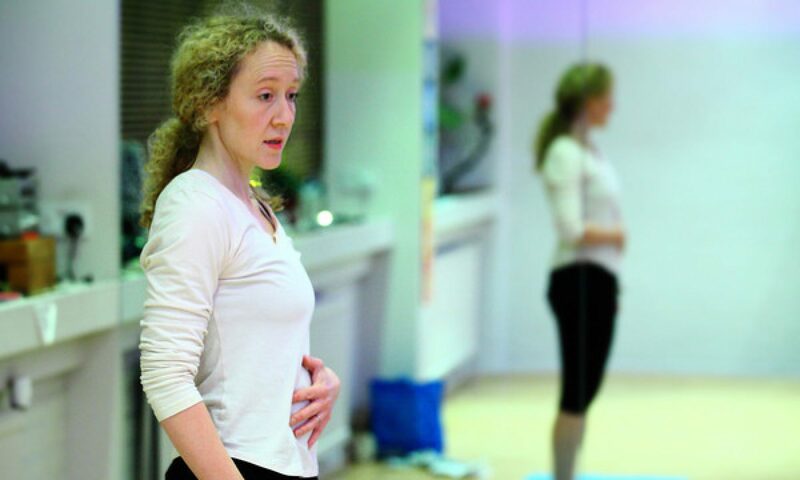 On becoming pregnant, she trained on the 2012 Seasonal Yoga Teacher Training course, an exhilarating experience that deepened her understanding and passion for yoga under the tutelage of Julie Hanson, Sue Woodd and Marit Griffiths. She undertook further training with the Seasonal Yoga Academy in 2015 to become a 500 hours experienced yoga teacher, a wonderful deepening of her knowledge and practice. In 2016 Lucie trained further in Yoga Nidra with Uma Dinsmore-Tuli and Ben Wolff and led an autumn practice as part of the Live at Five show on STV. She attends workshops and courses to keep her learning and teaching skills fresh, and leads workshops and classes in Glasgow and surrounding areas. Lucie teaches detailed posture awareness and a mindful approach. Her classes are open to all who wish to increase body flexibility, core strength and achieve greater awareness of the mind and body, in a kind and self affirming way.